PRAY FOR AMERICAN AND LEADERSHIP!! Moral depravity. Racial division. School violence. Hateful social media. Leaders grandstanding and stonewalling. There is one answer to all of the problems that are overwhelming America–Jesus. We know that what our nation needs is not more programs, more handouts, more diversity or more laws, but a radical heart change. As the nation pauses to honor Dr. Billy Graham, join us in praying that more Christians would become bold in sharing the gospel of Jesus Christ. Our country, leaders and citizens, need Jesus. Pray also for the leaders who know Christ, for the desire and courage to speak out for biblical values and seek God’s solutions for our nation. Pray for these leaders below, each of whom has boldly shared the Truth of Christ publicly while in office. Note: OUR NATION CONSTANT PRAYER WITHOUT CEASING! 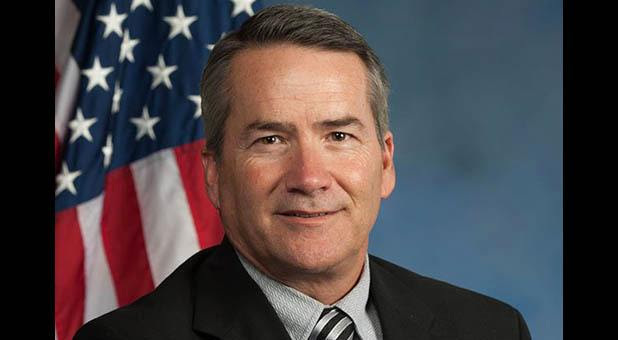 Pray for Rep. Jody Hice (R-GA) who, before becoming a legislator, was a pastor. He desires to serve Christ and bring godly values to our nation through serving in Congress. He recently shared the gospel before his peers in the House as part of the recognition of the passing of Dr. Billy Graham. Click his picture to watch the video. Click the button to share your prayer of encouragement to Rep. Hice. Pray for Governor Greg Abbott who is not shy about sharing his faith, especially when people in his state needed hope,prayer, and encouragement after the devastating Houston-area floods. Pray for continued bold leadership from Governor Abbott, for blessing as he shares Christ through his leadership, and for his testimony to be received by many. 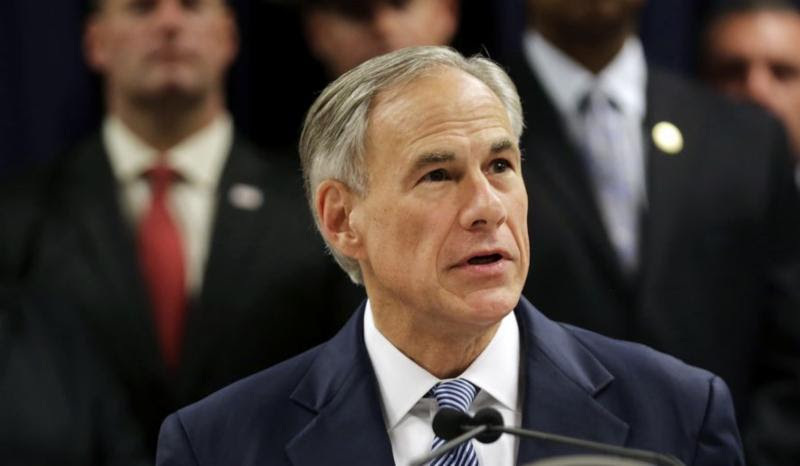 Click the button below to share your prayer of encouragement to Governor Abbott. 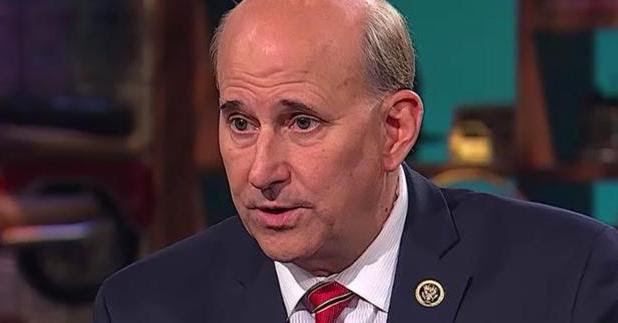 Pray for Rep. Louie Gohmert from Texas, an outspoken believer of Christ, a bold witness, and a humble man. Pray for continued courage to speak out for God’s principles, and for leadership to gather others to do the same. Pray for his family as he serves in Washington D.C. in a high-pressure environment. Ask for grace to deal with the spotlight and strengthened faith in Christ. Click the picture to watch a special message from Rep. Gohmert about faith and click the button below to share a prayer of encouragement to Rep. Gohmert. 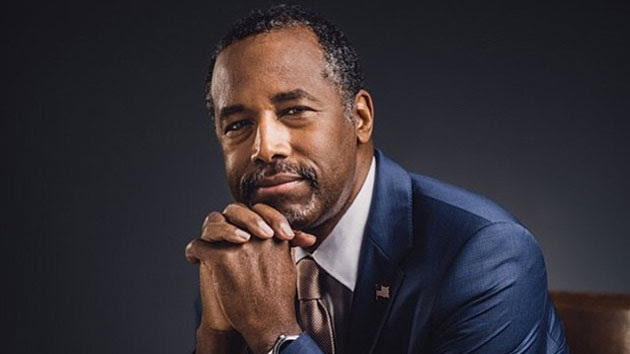 Pray for Dr. Ben Carson, Housing and Urban Development (HUD) Secretary, whose faith was in the spotlight during the 2016 Presidential election. Pray that he continues to prioritize time alone with Jesus, and that his faith would be a source of strength in his role. Pray for solutions to come from God for problems he is faced to solve as HUD Secretary. Click Secretary Carson’s picture to hear a clip of him sharing his faith, and click the button below to send him a prayer of encouragement. The true spiritual order of prayer seems to me to consist of something more than mere arrangement. It is most fitting for us first to feel that we are now doing something that is real; that we are about to address ourselves to God, whom we cannot see, but who is really present; whom we can neither touch nor hear, nor by our own senses can apprehend, but who, nevertheless, is as truly with us as though we are speaking to a friend of flesh and blood like ourselves. Feeling the reality of God’s presence, “our mind will be led by divine grace into a humble state”; we shall feel like Abraham, when he said, ‘I have taken upon me to speak unto the Lord, which am but dust and ashes.’ Consequently we shall not deliver ourselves of our prayer as boys repeating their lessons, as a mere matter of rote, much less shall we speak as if we were rabbis instructing our pupils, or as I have heard some do, with the coarseness of a highwayman stopping a person on the road and demanding his purse of him; but we shall be humble yet bold petitioners, humbly importuning mercy through the Saviour’s blood. We shall not have the reserve of a slave but the loving reverence of a child, yet not an impudent, impertinent child, but a teachable obedient child, honouring his Father, and therefore asking earnestly, but with deferential submission to his Father’s will. When I feel that I am in the presence of God, and take my rightful position in that presence, the next thing I shall want to recognise will be that I have no right to what I am seeking, and cannot expect to obtain it except as a gift of grace, and I must recollect that God limits the channel through which he will give me mercy—he will give it to me through his dear Son. Let me put myself then under the patronage of the great Redeemer. 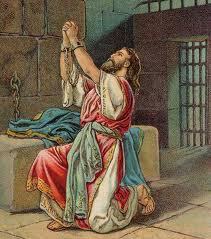 For meditation: In emergencies believers can pray to God on the spur of the moment (Nehemiah 2:4). At other times it is only right and proper to take both care and time (Nehemiah 1:4; Matthew 6:5–7). 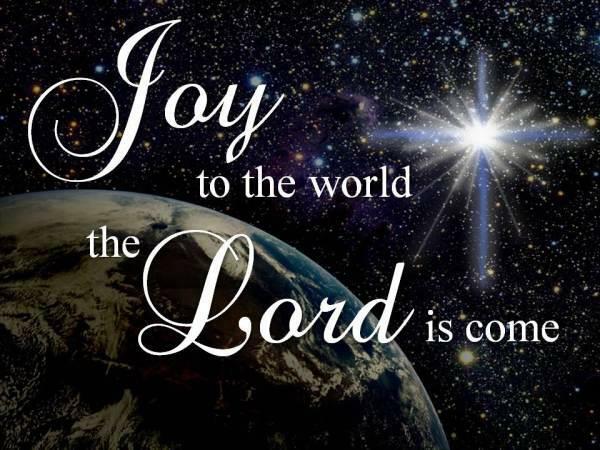 1Jesus spoke these words, lifted up His eyes to heaven, and said: “Father, the hour has come. Glorify Your Son, that Your Son also may glorify You, 2as You have given Him authority over all flesh, that He should give eternal life to as many as You have given Him. 3And this is eternal life, that they may know You, the only true God, and Jesus Christ whom You have sent. 4I have glorified You on the earth. I have finished the work which You have given Me to do. 5And now, O Father, glorify Me together with Yourself, with the glory which I had with You before the world was. 6“I have manifested Your name to the men whom You have given Me out of the world. They were Yours, You gave them to Me, and they have kept Your word. 7Now they have known that all things which You have given Me are from You. 8For I have given to them the words which You have given Me; and they have received them, and have known surely that I came forth from You; and they have believed that You sent Me. my brothers and sisters, be patient as you wait for the return of the Lord. Look! Worldly wisdom may promise the good life, but it leads to chaos and destruction every time. Ultimately true wisdom comes from God. God opposes the proud, but He pours out grace on the humble. 7Â So submit yourselves to the one true God and fight against the devil and his schemes. If you do, he will run away in failure. 8Â Come close to the one true God, and He will draw close to you. Wash your hands; you have dirtied them in sin. Cleanse your heart, because your mind is split down the middle, your love for God on one side and selfish pursuits on the other. Since the beginning, our loving Creator has been pursuing us, drawing us closer to Him. He invites us to move closer to Him so we can be fully His. 9Â Now is the time to lament, to grieve, and to cry. Dissolve your laughter into sobbing, and exchange your joy for depression. 10Â Lay yourself bare, facedown to the ground, in humility before the Lord; and He will lift your head so you can stand tall. 11Â My brothers and sisters, do not assault each other with criticism. If you decide your job is to accuse and judge another believer, then you are a self-appointed critic and judge of the law; if so, then you are no longer a doer of the law and subject to its rule; you stand over it as a judge. 12Â Know this there is One who stands supreme as Judge and Lawgiver. He alone is able to save and to destroy, so who are you to step in and try to judge another? ’13Â Listen carefully, those of you who make your plans and say, We are traveling to this city in the next few days. We™ll stay there for one year while our business explodes and revenue is up. 14Â The reality is you have no idea where your life will take you tomorrow. 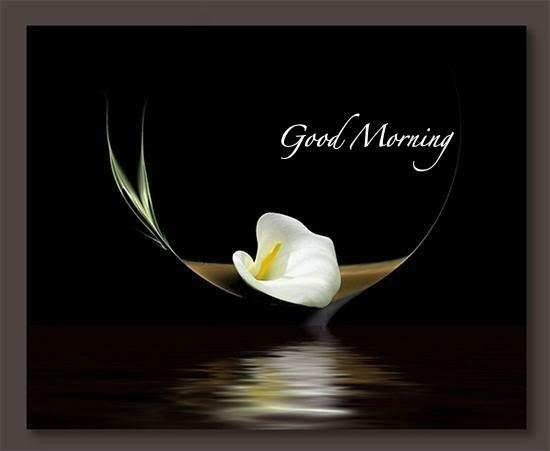 You are like a mist that appears one moment and then vanishes another. 15Â It would be best to say, If it is the Lord’s will and we live long enough, we hope to do this project or pursue that dream. 16Â But your current speech indicates an arrogance that does not acknowledge the One who controls the universe, and this kind of big talking is the epitome of evil. 17Â So if you know the right way to live and ignore it, it is sin plain and simple. 5Â Hey, you rich folk, misery is on its way; so cry and moan 2Â because you will watch your riches rot before your eyes as the moths devour your fine clothes. 3Â Your stockpile of silver and gold is tarnished and corroded, and this rust will stand up in the final judgment and testify against you. It will eat your flesh like fire and become a permanent and painful reminder that you have hoarded your wealth through these last days. 4Â Listen. You held back a just wage from the laborers who mowed your fields, and that money is crying out against you, demanding that justice be done. The cries of the people who harvested your crops and made you a profit have fallen upon the ears of the supreme Lord of heavenly armies. 5Â Your life on the earth has been one of luxury, pleasure, and endless consumption; you have feasted to your heart’s content on animals you slaughtered, but now the day of slaughter comes for you. 6Â You have condemned and murdered the righteous man, and he did not defend himself. 7Â For this reason, my brothers and sisters, be patient as you wait for the return of the Lord. Look! The farmer knows how to wait patiently for the land to produce vegetables and fruits. He cannot harvest a freshly planted seed. Instead, he waits for the early and the late showers to nourish the soil. 8Â You need this same kind of patience, so in the meantime, strengthen your resolve because the Lord will be coming soon. 9Â Brothers and sisters, donâ€™t waste your breath complaining about one another. If you judge others, you will be judged yourself. Be very careful! You will face the one true Judge who is right outside the door. 10Â The prophets who declared the word of the Lord are your role models, my brothers and sisters, for what it means to live patiently in the face of suffering. 11Â Look, we bless and honor the memory of those who persevered under hardship. Remember how Job endured and how the Lord orchestrated the triumph of his final circumstances as a grand display of His mercy and compassion. 12Â It is even more important, my brothers and sisters, that you remember not to make a vow by the heavens or the earth or by anything. When you say yes, it should always mean yes, and no should always mean no. If you can keep your word, you will avoid judgment. 13Â Are any in your community suffering? They should pray. Are any celebrating? They should sing praises to God. 14Â Are any sick? They should call the elders of your church and ask them to pray. They will gather around and anoint them with oil in the name of the Lord. 15Â Prayers offered in faith will restore them from sickness and bring them to health. The Lord will lift them up from the floor of despair; and if the sickness is due to sin, then God will forgive their sins. 16Â So own up to your sins to one another and pray for one another. In the end, you may be healed. Your prayers are powerful when they are rooted in a righteous life. 17Â Remember Elijah? He was a man, no different from us. He prayed with great intensity asking God to withhold the rain; God answered his prayers and did not allow a single drop of rain to fall for three and a half years. 18Â It did not rain until Elijah prayed again for God to open the skies, when the rain came down and the earth produced a great crop. Why should we bother to pray if God already knows what we are going to ask for? Prayer involves so much more than making personal requests. It connects us with God and works to bring our wills into conformity with His. How, then, should we pray? First, James tells us to pray in community, not just by ourselves and for ourselves. When we pray together, life is shared and community is born. We also confess our sins, not just to God, but to each other. Through this vulnerable transparency, God knits souls together in authentic community, and we discover the true benefit of prayer. 19Â Brothers and sisters, if someone you know loses his way and rebels against God, pursue him in love and bring him back to the truth. 20Â Know this: If you turn a sinner back from the error of his ways, then you will rescue him from the grips of death and cover the pain and consequences of untold sins. The Voice (VOICE)The Voice Bible Copyright Â© 2012 Thomas Nelson, Inc. The Voiceâ„¢ translation Â© 2012 Ecclesia Bible Society All rights reserved.